But we probably won't see it until around 2025. The Mercedes-AMG Project One may have made its world debut at this year’s Frankfurt Auto Show, but the show car was still technically a concept since it’s not quite ready for homologation. We won’t see the final production model until deliveries start in 2019, at which point the Project One will be sold under a different name. If you didn’t already know, the Project One is essentially a Formula One car disguised as a road car that sets a precedent for performance and technology - and yet Mercedes-AMG is already planning its future successor. While the Project One is powered by the same turbocharged 1.6-liter V6 as the current Mercedes-AMG Formula One car paired with four electric motors to generate over 1,000 horsepower, the hypercar replacing it probably won’t be powered by a combustion engine. According to Daimler chairman Dieter Zetsche in an interview with AutoExpress, a road-going successor to the Project One might adapt technology from Formula E and utilize an all-electric powertrain. Mercedes-AMG will be entering the 2019/20 Formula E season with an all-electric race car, and the road-going equivalent will have similar performance to the Project One. We probably won't see it until around 2025, though. Dr. Zetsche described the Project One as “a strategic decision which describes AMG for the future. We have very specific plans how electric components go from 48 volt to mild-hybrid, to plug-in hybrid, then to full-electric and how this applies to performance vehicles as well,” he said. “It’s not an accident that by 2020 we will start in Formula E, which at that point in time is more a PR and marketing platform,” he added when asked about the possibility of Mercedes-AMG’s next performance road car flagship using Formula E technology. 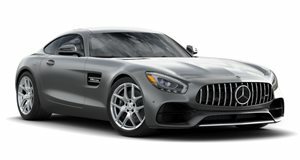 Mercedes-AMG has experimented with fully electric supercars in the past, however. Cast your mind back to the 2012 Paris Motor Show, where Mercedes revealed the SLS AMG Electric Drive as the first fully electric supercar in the world which also featured in a teaser campaign for the Project One with Lewis Hamilton. At the time, it was also the fastest Mercedes-AMG road car ever, with a combined output of 751 horsepower, but this now seems tame compared to the Project One. Coincidentally, Bugatti is also already planning the Chiron’s replacement which is still at least six years away, but unlike the Project One the automaker hasn’t decided whether it will utilize electrification.